Submitted by admin on 31st Oct 2017, 18:14. It has already been quite a month, but today we passed another milestone with this specimen of bakhchisaraitsevite. No it isn't the most unpronounceable mineral on the site, or the longest mineral name not to use a U or O, though it might be either! This specimen is listing number 620000: we last posted about listing 610000 on 30th August, 62 days ago. Congratulations to our sellers who have been adding new items at an average rate of 161 items per day to bring this number up so rapidly. On the output side, congratulations to the buyers and e-Rocks community at large, in the same 62 day period we have closed 9426 sales through the site. 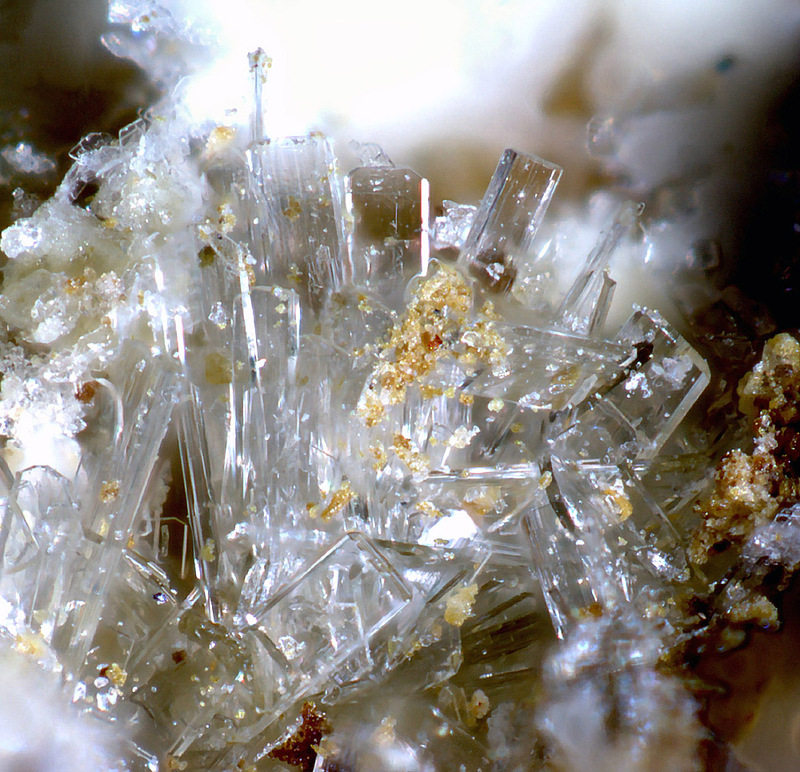 Heading back to the mineral bakhchisaraitsevite this has been listed (link below JYJ620000) in Joy Desor's latest auction of interesting and rare minerals - featuring, as usual, some excellent microphotography. Bakhchisaraitsevite is a simple hydrated phosphate mineral containing magnesium and sodium. First discovered in Kovdor, Russia in the late 1990's (IMA 1999-005) it has more recently turned up in Cerro Mejillones, in Chile. This is where Joy's listed specimen was collected. 10000 Items in 65 days.